Got more than four in your wedding party? Then the 5th outfit is on us. Choose your party’s outfits from any of our hire lines and we’ll treat you to one for free. 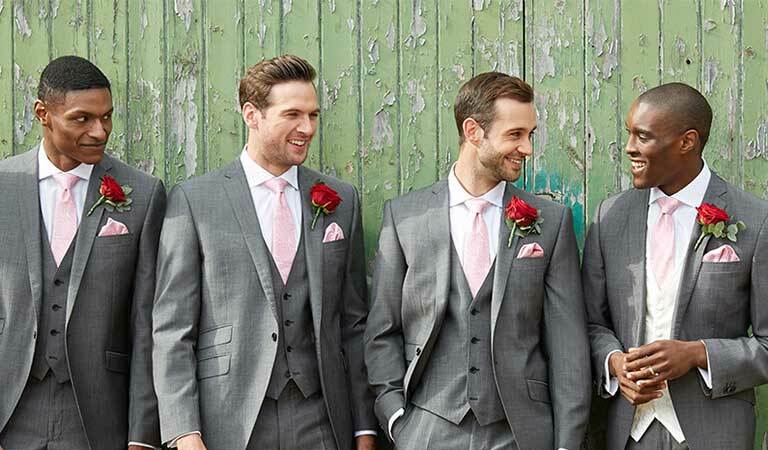 Hire four or more wedding outfits at full price and get a fifth wedding outfit at no charge. All your outfits need to be placed on one order. The cost of the free outfit must be equal to or less than the cost of the other hired outfits. We recommend that you take out Peace Of Mind assurance on all outfits. This way for more on how to hire.